How Pepsi and Coke are Saving Water... it's easier thank you think? A 2016 report by the Beverage Industry Environmental Roundtable (BIER) had some promising news about how the beverage industry - companies that make pop drinks, beer, distilleries, wineries, bottling companies, etc., - are finding ways to save millions of gallons of water each year. And what is so surprising, most attribute it to something straightforward that we all can do… but more about that later. The BIER report involved 1,500 global facilities in the beverage industry owned or operated by 19 different companies. While the companies were not mentioned, we know they included some major brands - and major water users - like Coca-Cola, PepsiCo, MillerCoors, New Belgium Brewing, and Fetzer Vineyards. The study not only looked at water consumption but energy as well. This is likely because there is such a close connection between water and energy. The more water a facility uses, the more it costs to deliver and remove the water from the location. In California, approximately 19 percent of the energy utilized in the state is just for moving and removing water. But these costs also go up when we figure heating the water. While beverage companies now use a variety of different techniques to clean and sterilize the equipment they use, often this requires hot water. The more hot water they must use, the more energy they must purchase, adding to their operating costs. Reviewing data for the years 2011, 2013, and 2015, 71 percent of the facilities in the study were able to reduce water consumption. And as a result of this, 64 percent were able to reduce their energy use. The report also noted that some companies, such as Pepsi, have been working to reduce their water consumption for more than a decade. From 2006 to 2016, Pepsi has reduced the amount of water they need to make their beverages by 26 percent and expects to bring this down another 25 percent by 2025. So how are these companies reducing consumption? Apparently only fixing leaks in their facilities is at the top of the list. “We started with low-hanging fruit like fixing leaks,” says Greg Koch, global head of water stewardship for Coca-Cola. Roberta Barbieri with Pepsi also listed fixing leaks as a major contributor in reducing their water consumption. This tells us all how important it is to fix leaks, in both homes and commercial locations. However, with the leak problem addressed, how do these and other beverage giants plan on reducing water consumption? • Implementing systems that use water more efficiently when it comes to agriculture, for instance, steps wineries can take to reduce the amount of water to grow grapes. And while it was not mentioned in the report, many of these beverage companies have looked for other ways to reduce water consumption such as in their restrooms. In many cases, low-flow restroom fixtures as well as no-flow fixtures, such as waterless urinals, are installed. While this might not be true in a beverage facility, in many locations, more water is used in restrooms than any other area of the facility. This is why it is invariably the first place to look when building owners decide to use water more efficiently. 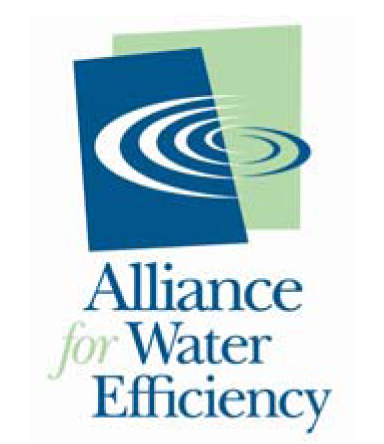 For more information on ways to reduce consumption and use water more efficiently, contact a Waterless Co representative.